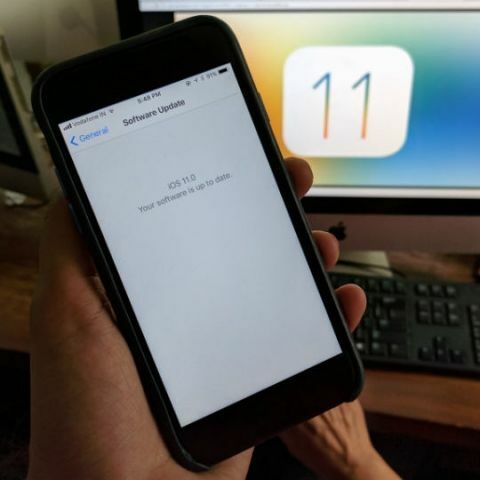 iOS 11, the latest mobile operating system developed by Apple, is reportedly lagging behind its previous iterations and is now installed on only 52 per cent of iOS devices. iOS 11 adoption has been slower than iOS 10 adoption last year but the number of devices with the update installed has grown steadily since the new update was released, MacRumors reported late on Tuesday. According to new statistics that Apple shared on its App Store support page for developers, 38 per cent users still continue to run iOS 10 on their devices, while another 10 per cent are still on an earlier version of iOS. Previously released data by Mixpanel Trends revealed that iOS 11 adoption is slower than iOS 10's adoption rate. The report compared the real-time installation data of iOS 11, iOS 10 and its older versions. The Cupertino-based giant has so far released several updates for iOS 11, including iOS 11.1. With iOS 11.1, the company introduced new emoji, brought back the 3D Touch App Switcher and included some critical security fixes. Meanwhile, iOS 11 has been reported to drain battery life twice as fast as iOS 10. It brings with it support for Apple's ARKit, enhanced multitasking and new gestures. The iOS 11.2 update is currently being tested in beta programme and will be the first major update to bring a new feature named Apple "Pay Cash". The feature was announced earlier this year and allows the user to send and receive cash inside the Messages app on iPhones.